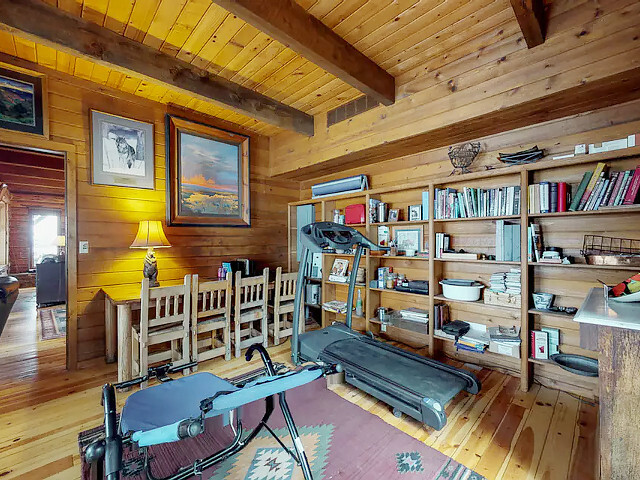 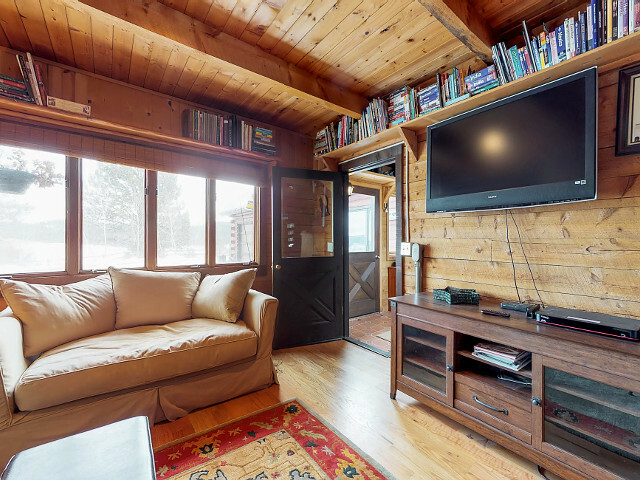 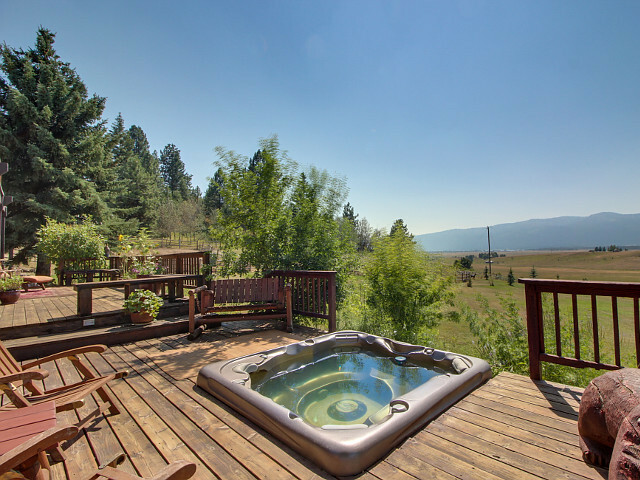 Dog-friendly, mountain view ranch home w/ private hot tub, sauna, and more! 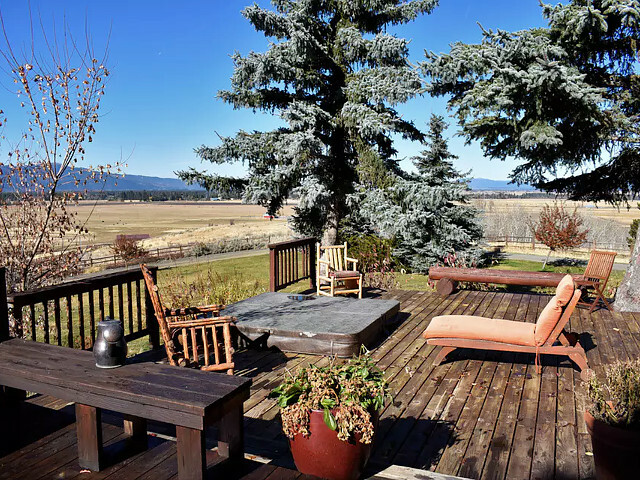 It's easy to fall in love with Panther Ranch Estate's stunning views overlooking valleys, mountains, and ski slopes. 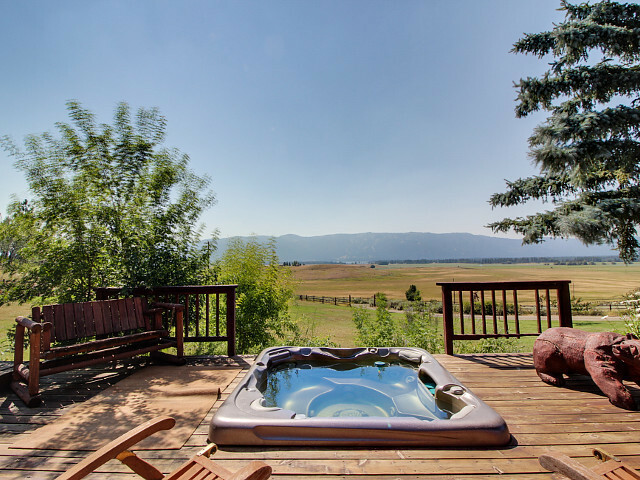 It's even more delightful to take it in from the luxury of the property's private hot tub. 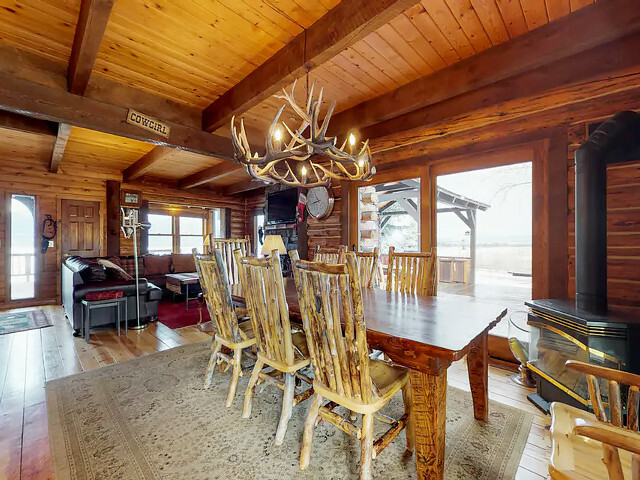 This dog-friendly, four-bedroom home's refined yet rustic feel, as well as its plentiful amenities, are sure to charm any guest. 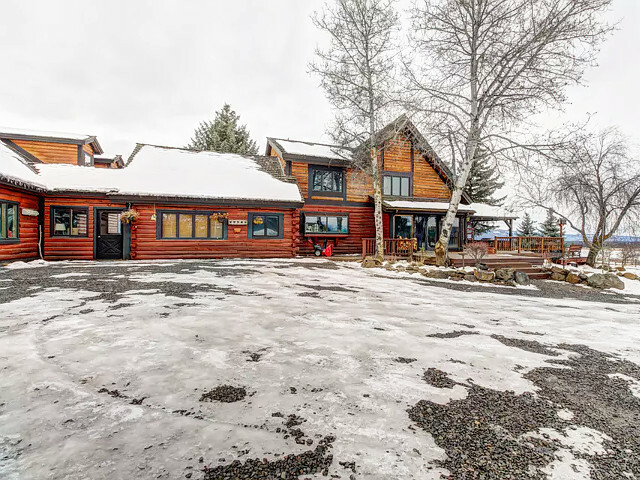 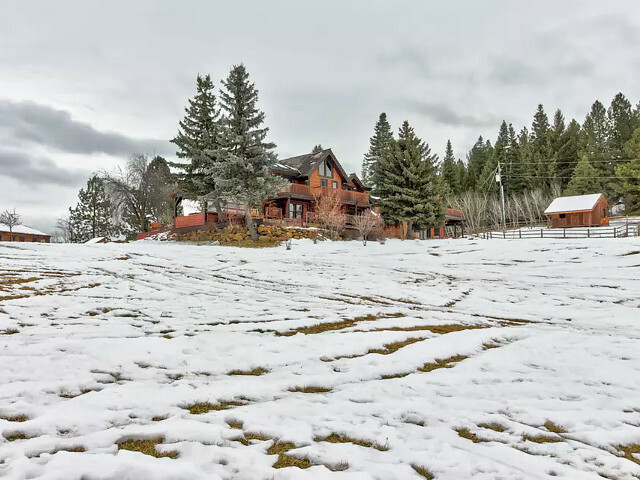 This secluded ranch sits on 80 acres about 5 miles south of Donnelly's town center, so you aren't far from groceries, gas, and dining, despite feeling remote. 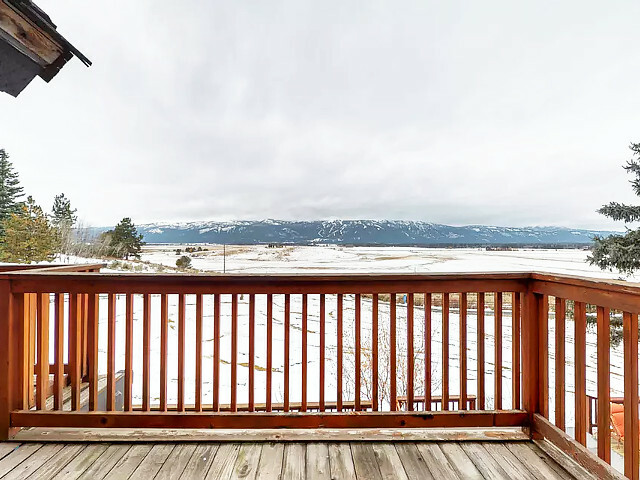 Lake Cascade can be seen in the distance from your porch, and plenty of boating and fishing awaits you there during the summer. 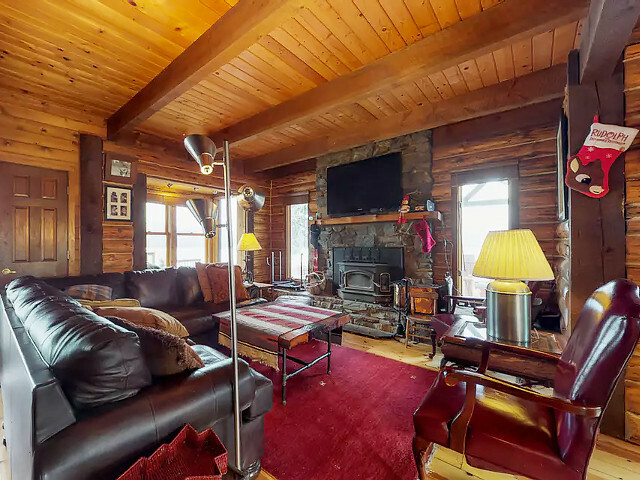 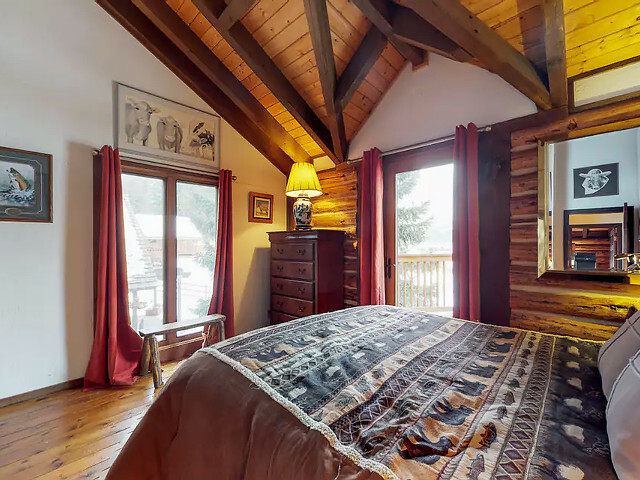 On a snowy winter day, make the easy 14 mile day trip to Tamarack Resort, where you can ski on the slopes visible out your window back at the ranch. 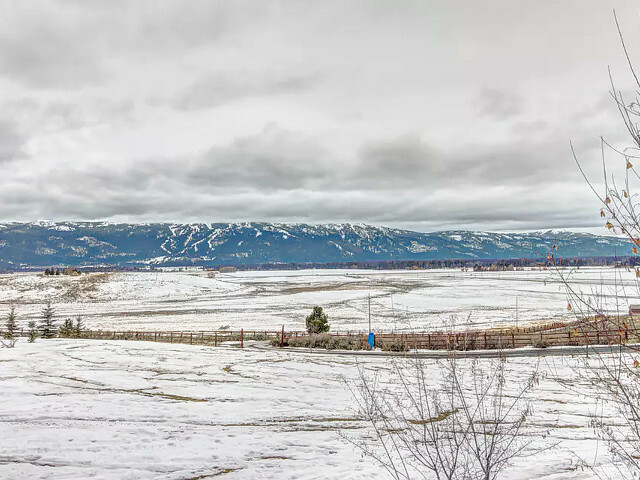 If you'd prefer to stay home, Nordic skiing throughout the ranch is a great option. 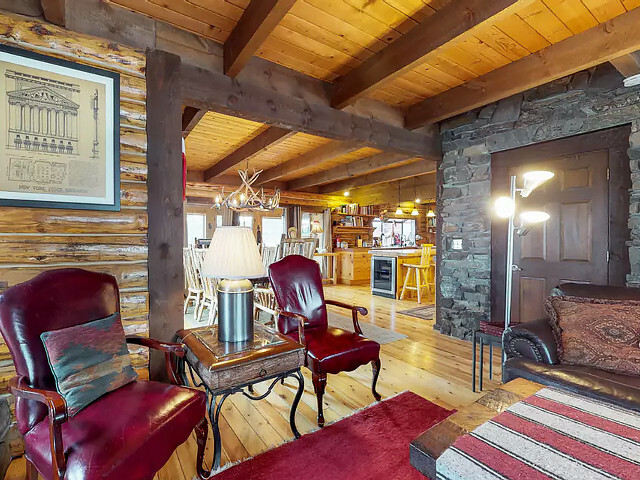 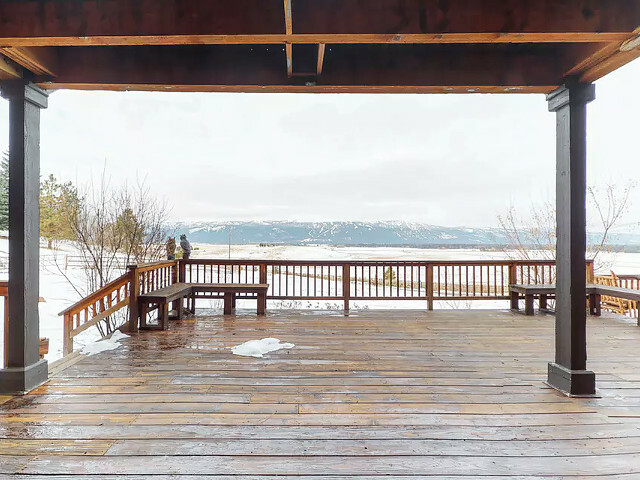 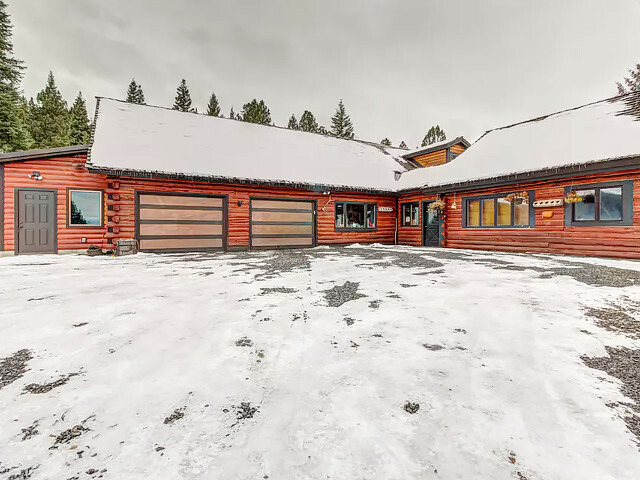 The property has parking space for up to four snowmobiles, and plenty of space to drive them. 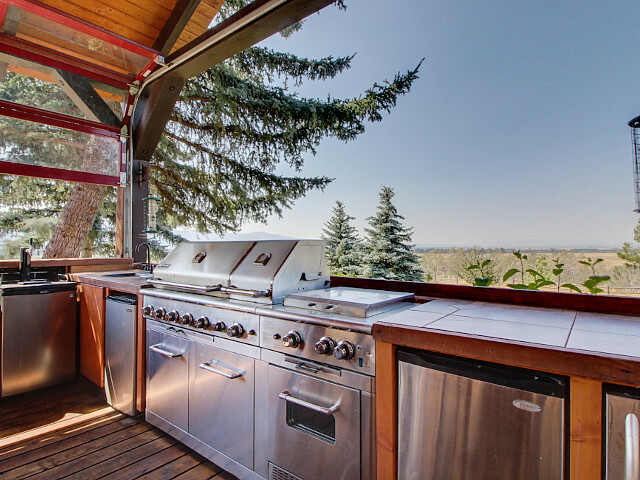 This home's deck, outdoor sitting areas, and grill set the scene for cool summer nights here. 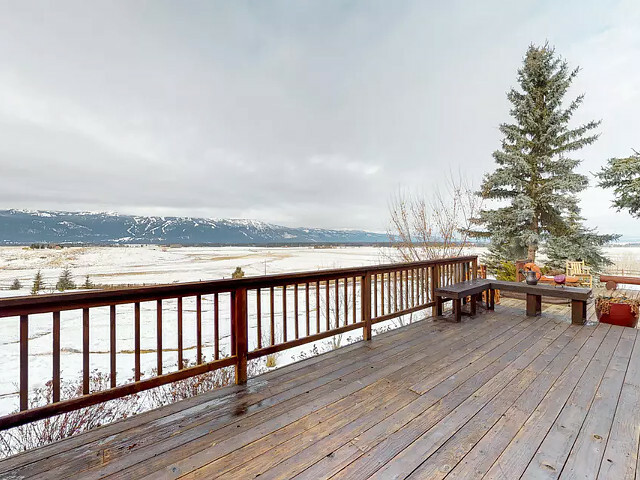 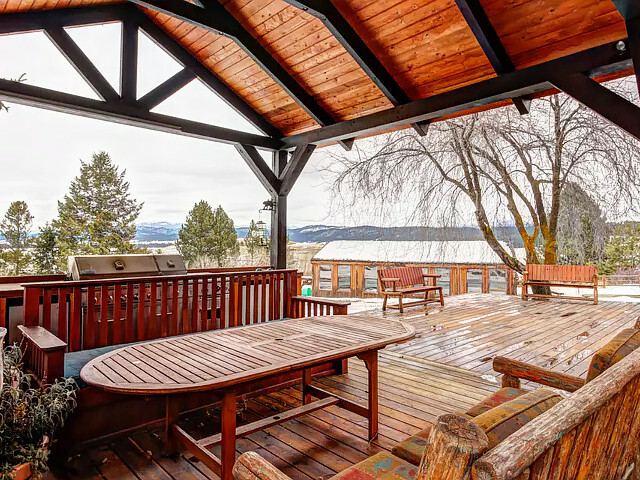 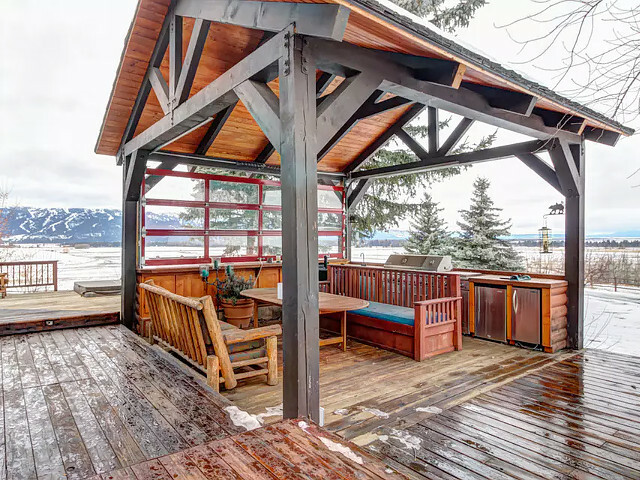 If it gets a little too cool for comfort, hop in the private hot tub, situated in the middle of the deck, gather around an outdoor fire, or get cozy with the gas and wood fireplaces inside. 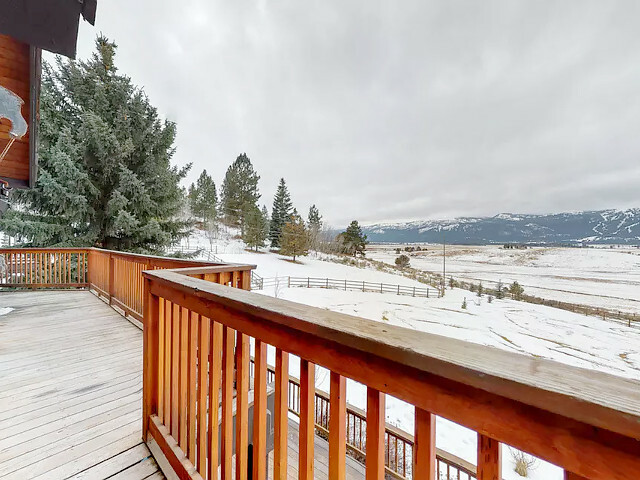 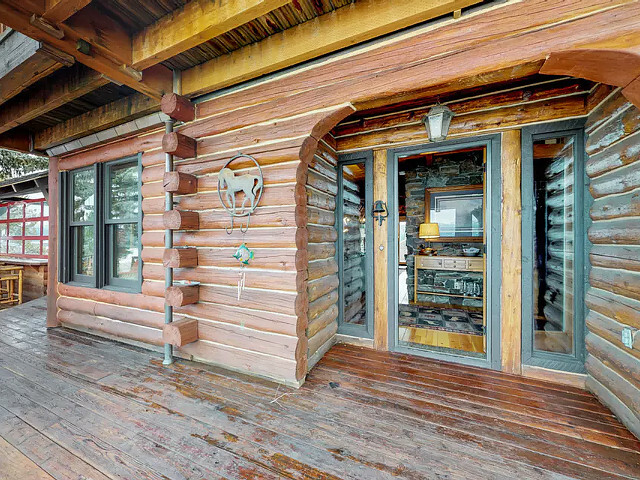 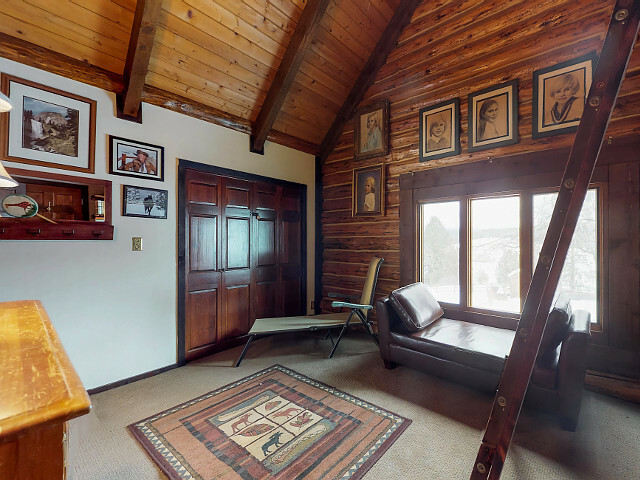 Catch a slightly different angle of those mountain views from the home's second-story balcony. 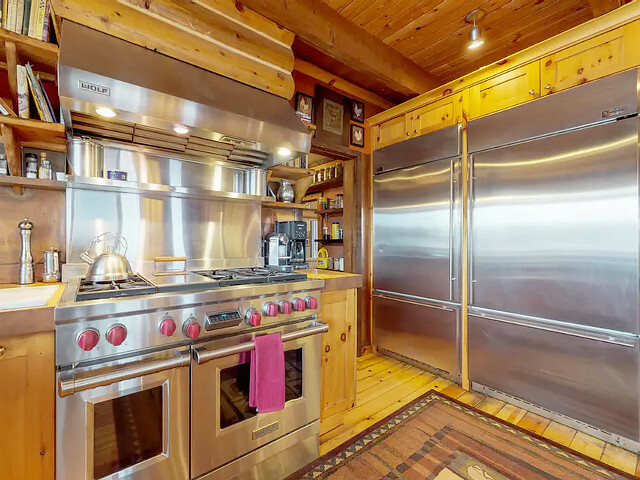 Once inside, you'll find a gourmet kitchen built for events, family meals, and everything in between. 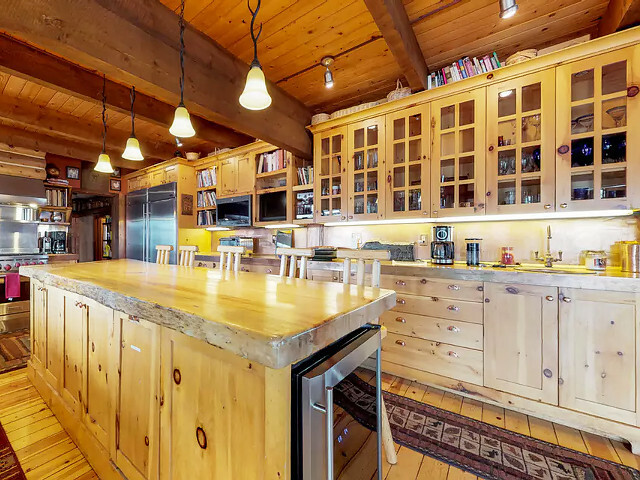 Panther Ranch Estate is part of a larger property that can be rented all together for weddings and other events for an additional fee, and the gorgeous kitchen is fully equipped to host. 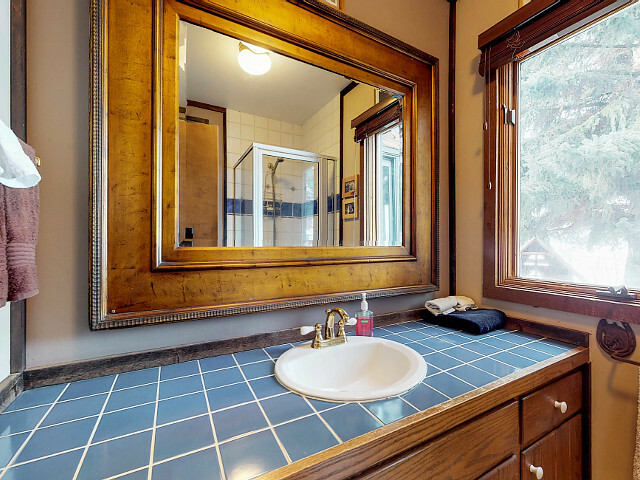 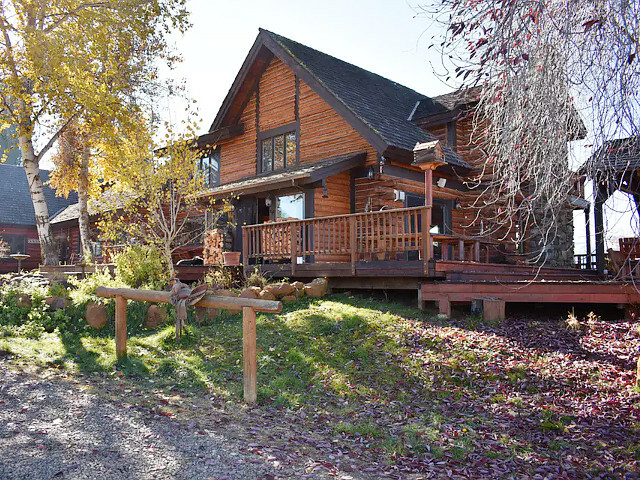 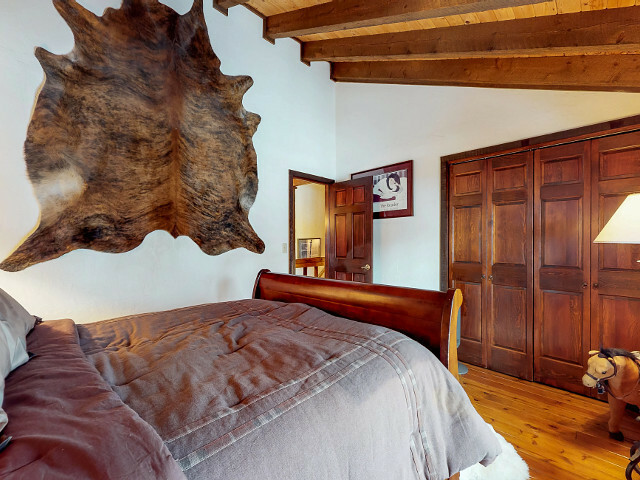 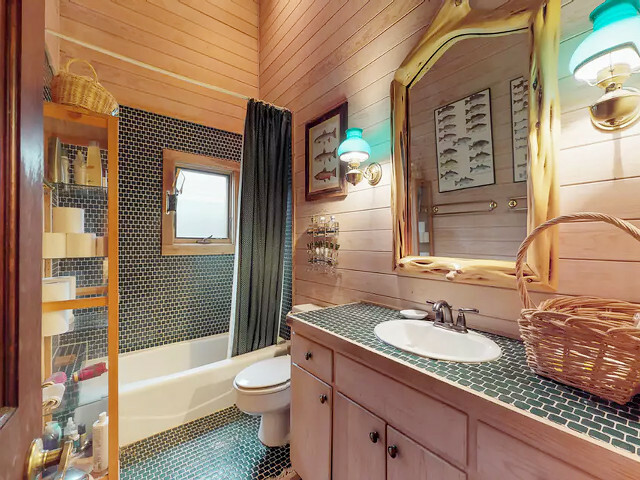 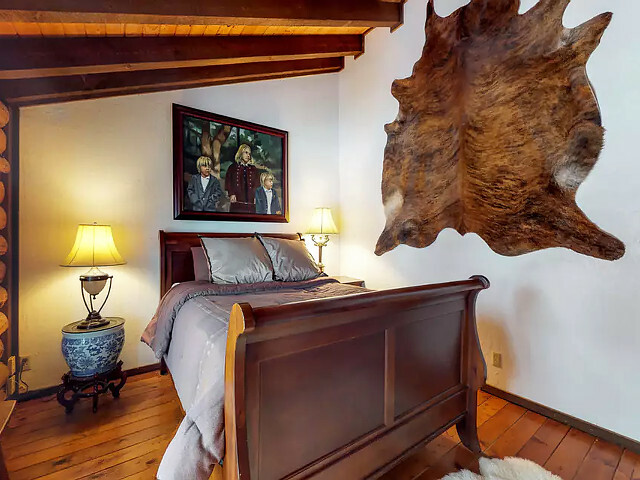 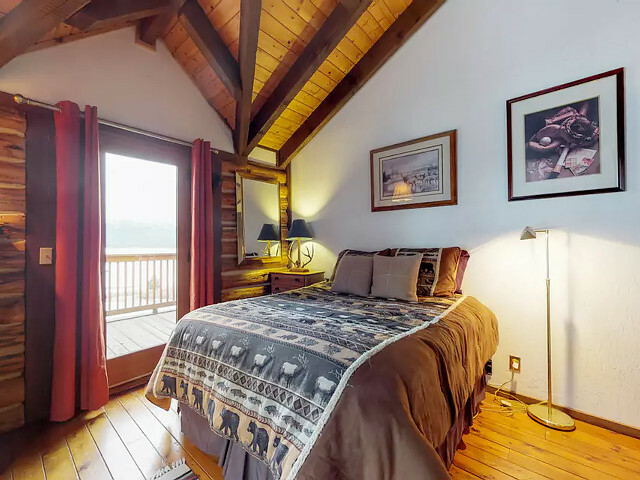 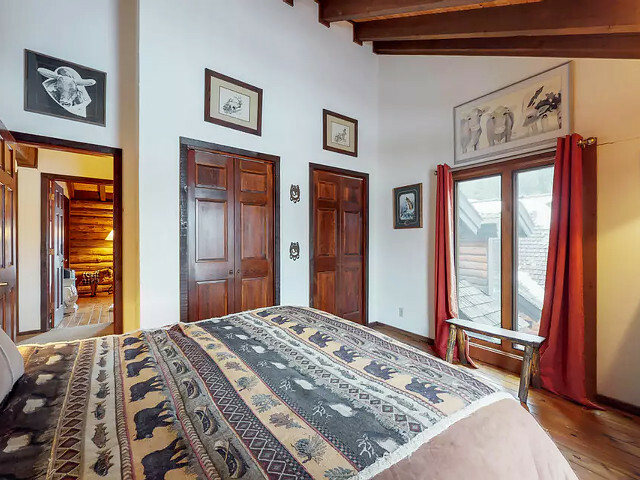 When renting both properties together there is the capability to accommodate up to 18 people (see Panther Ranch Estate & Guest House for more information). 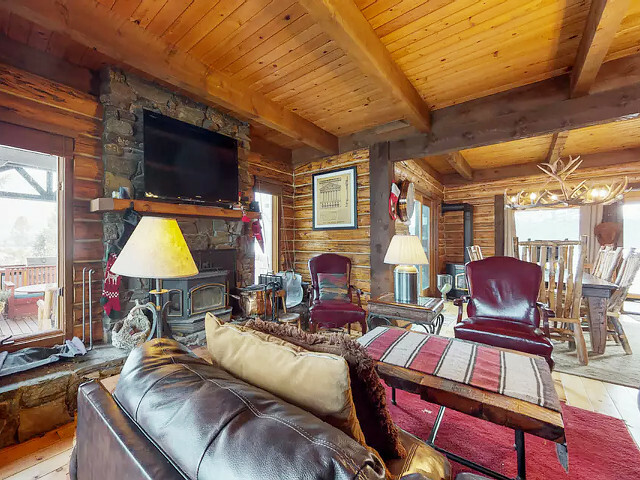 The wood-burning stove in the living room adds the finishing touch to the living and dining areas' rustic ambiance. 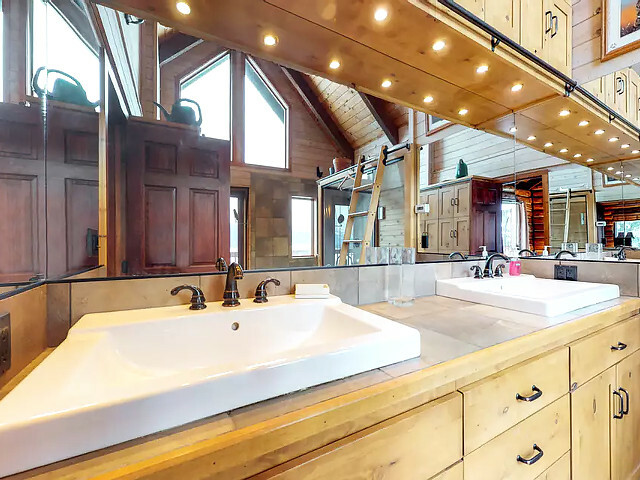 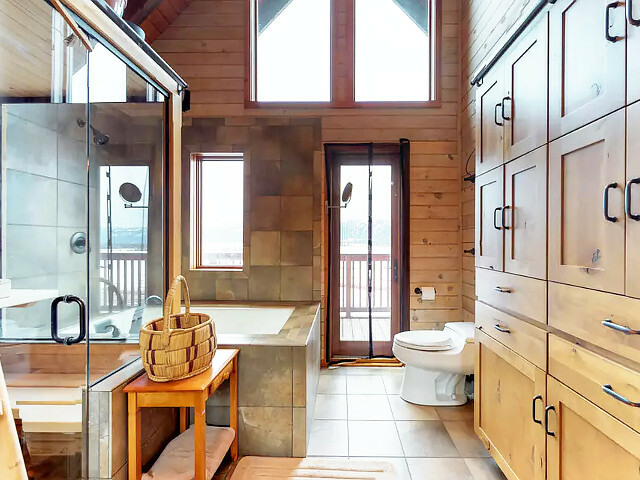 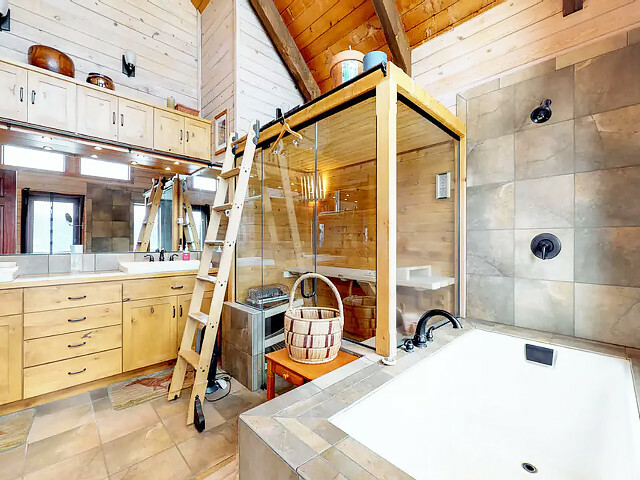 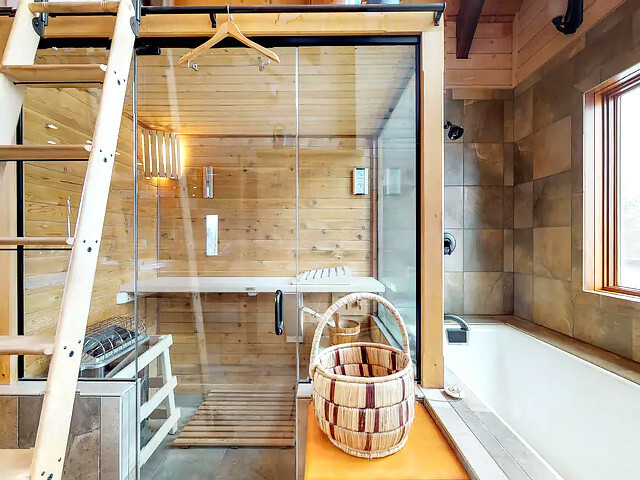 The master bathroom offers a private sauna and jetted tub, just what you'll be craving after a day on the ski slopes. 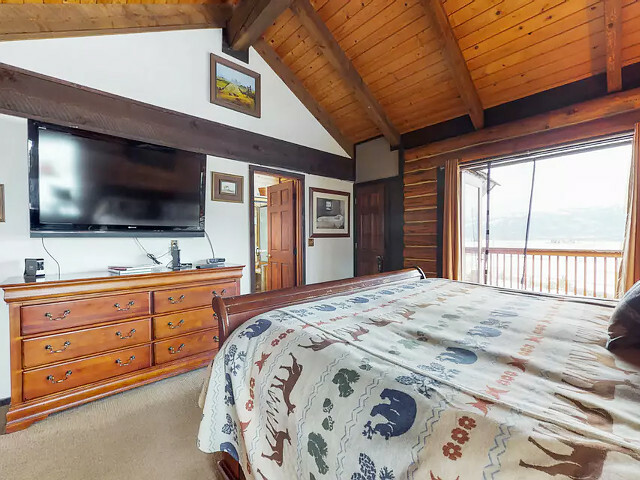 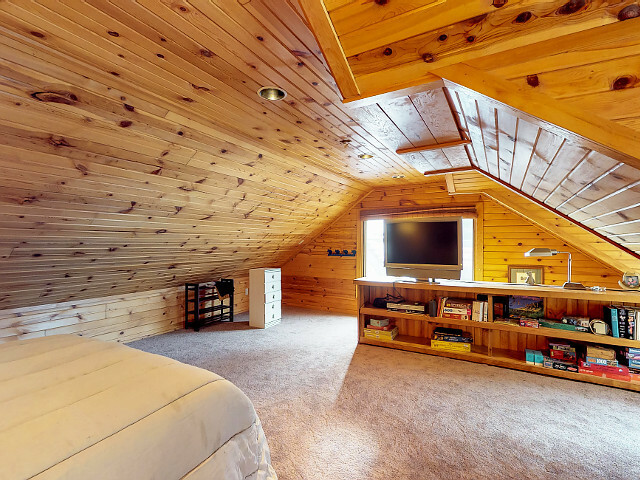 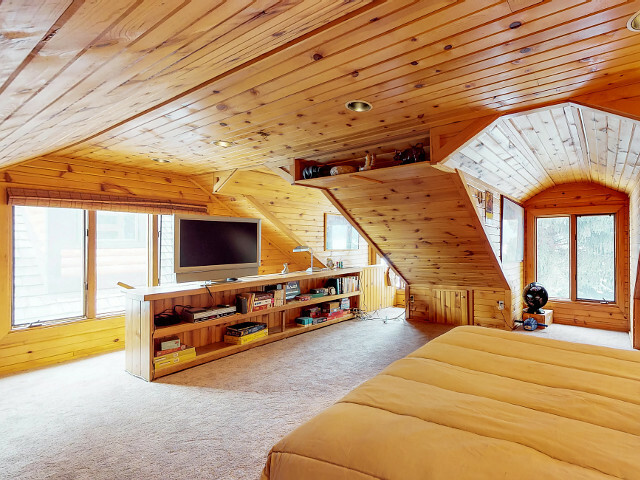 The home's game collection, cable TV, DVD and Blu-Ray players, Netflix (with your own login), and free Wi-Fi will keep the group entertained. 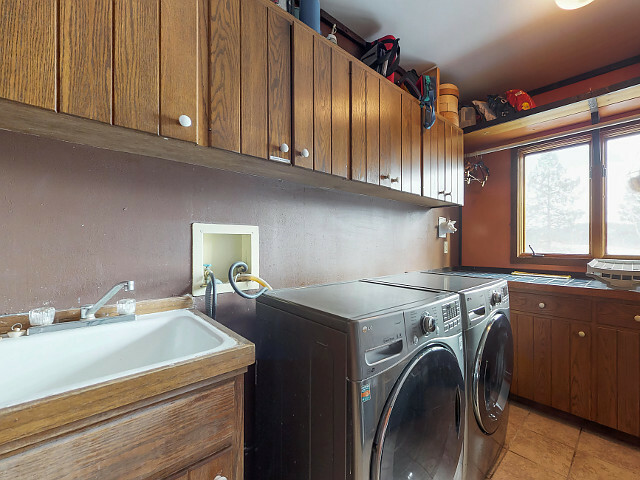 Laundry is easy with a private washer and dryer. 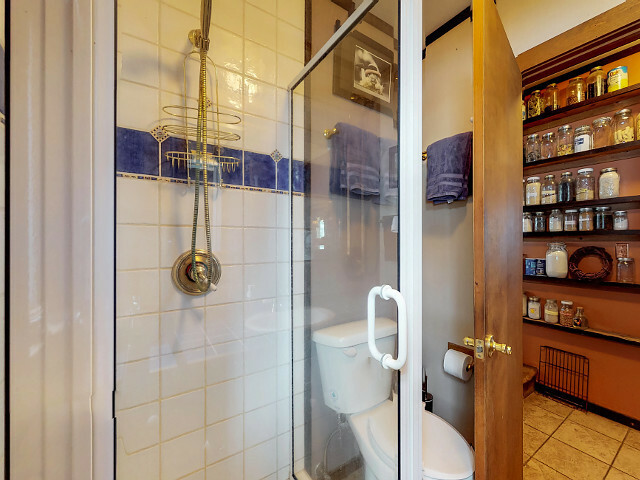 A dog is allowed to join in the fun here, for a small nightly fee. 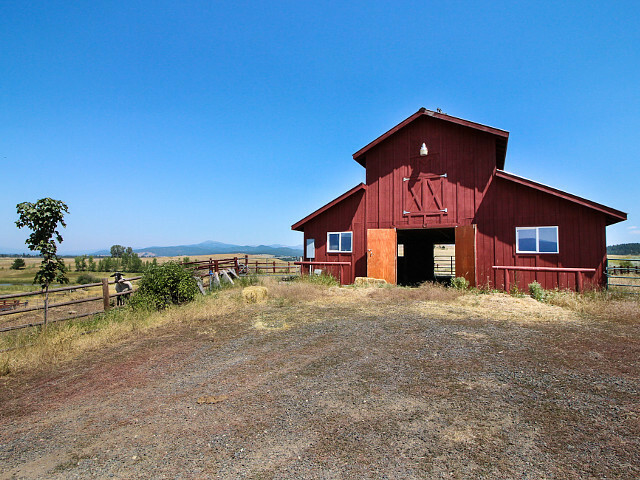 Panther Ranch Estate even welcomes horses, which can stay in the on-site stables. 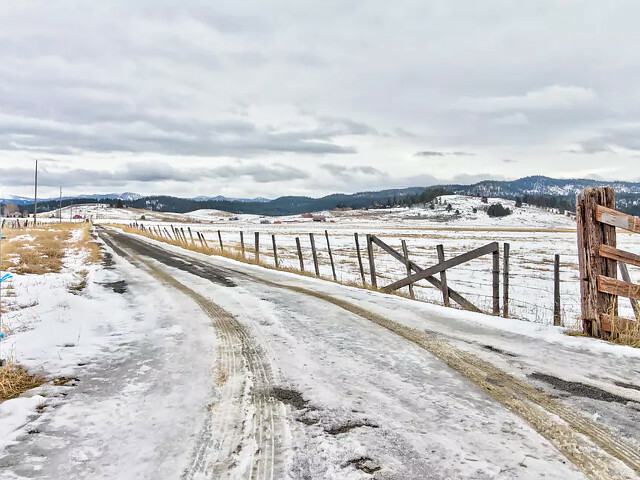 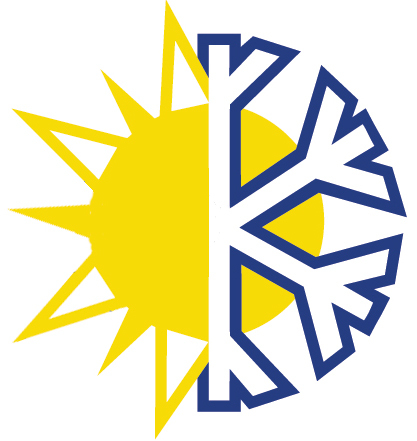 Please note that 4x4 driving may be required during the winter. 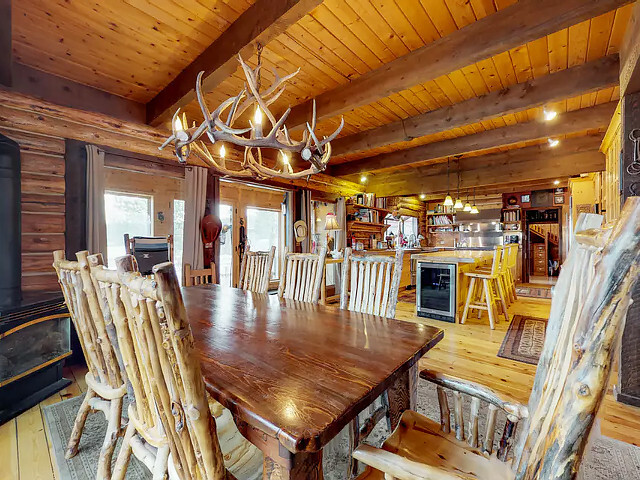 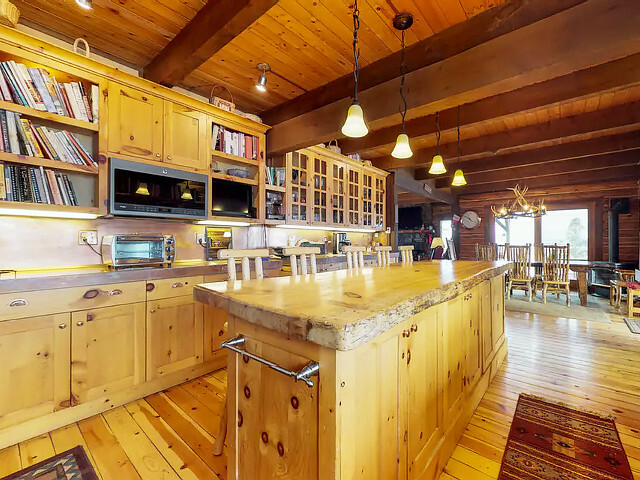 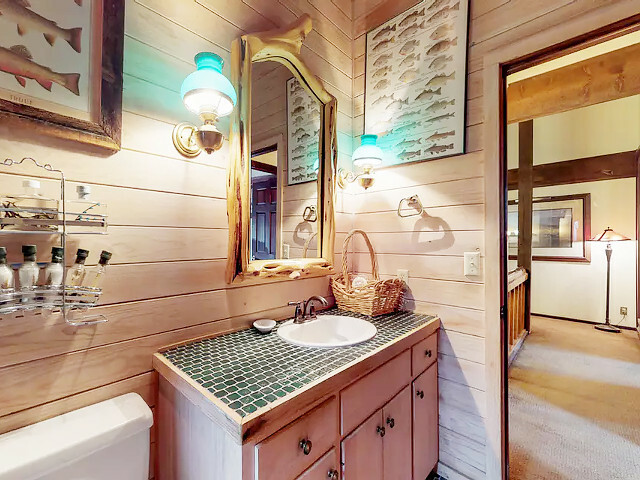 Book this truly spectacular ranch house for your next event or family vacation! 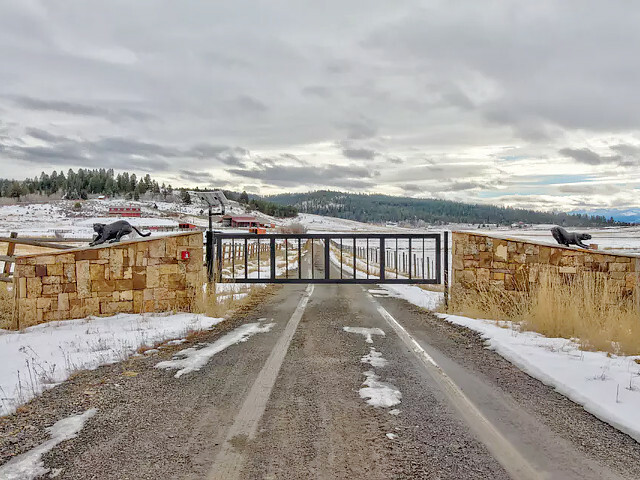 We do not have any current pre-built packages for Panther Ranch Estate . 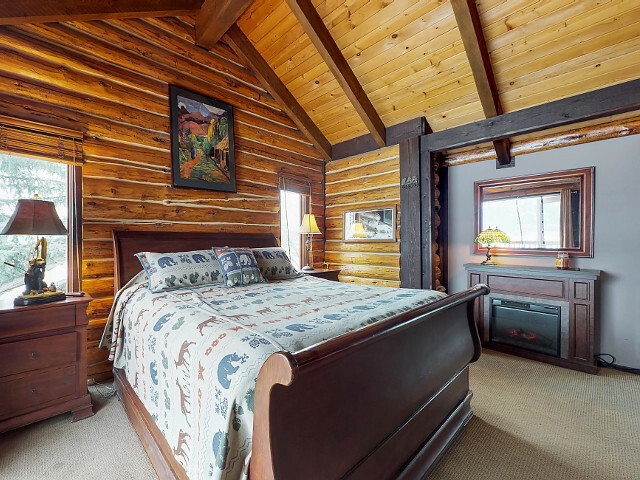 We can save you time: Rather than scouring the web looking for a place to stay in Donnelly let us do it! 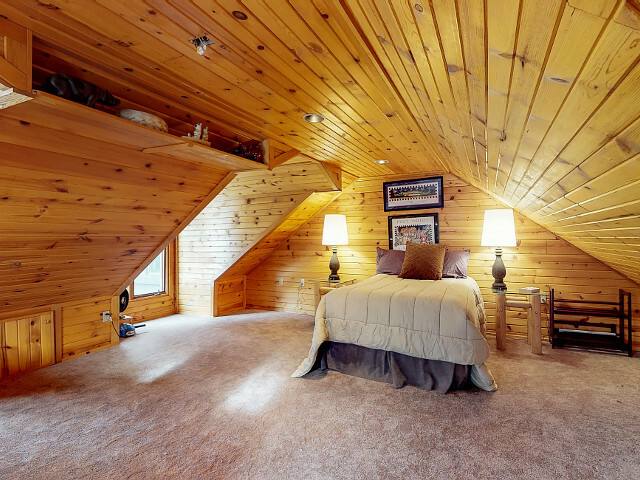 We know Donnelly and can find you a place based on your request and our service is free! 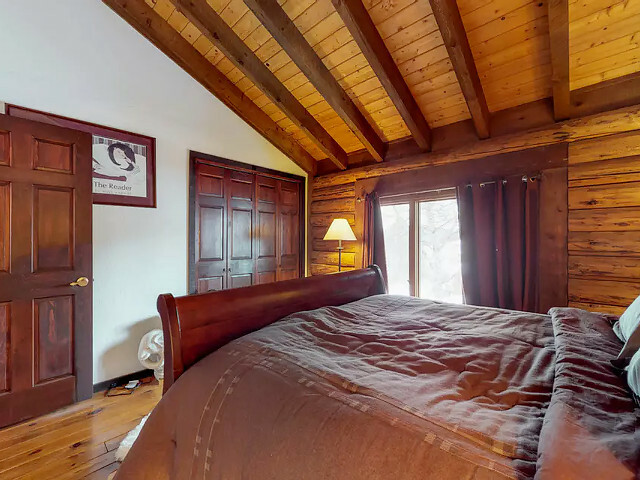 Simply fill out the quote form above and we'll email you a bookable quote with listings in Donnelly. 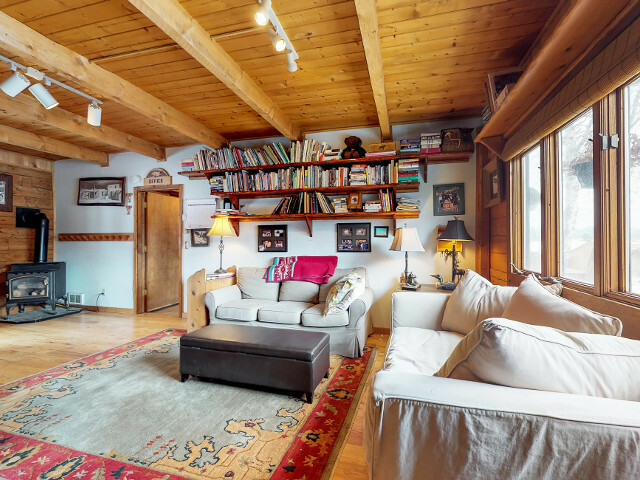 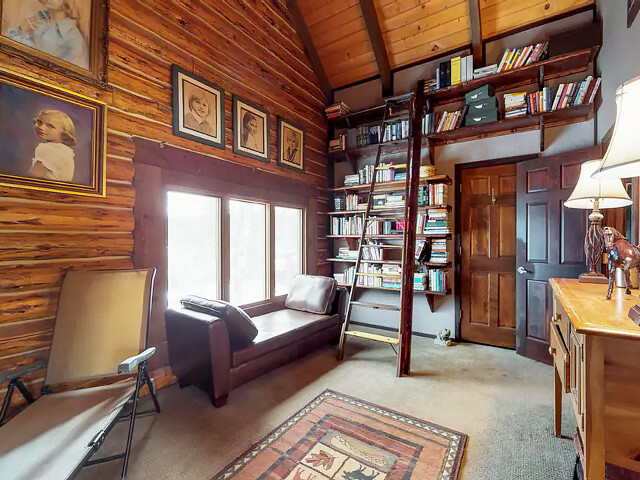 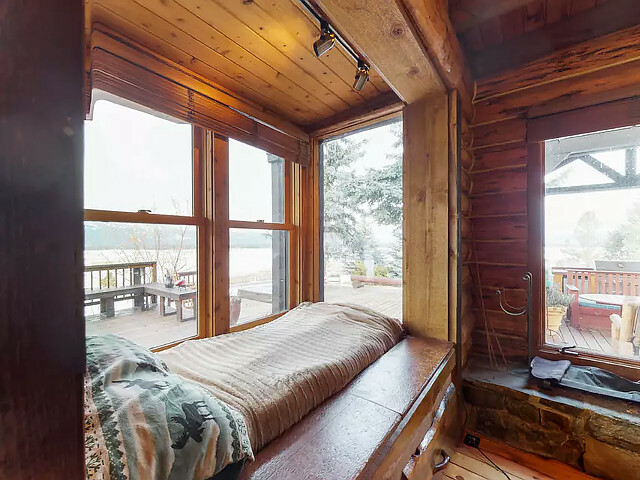 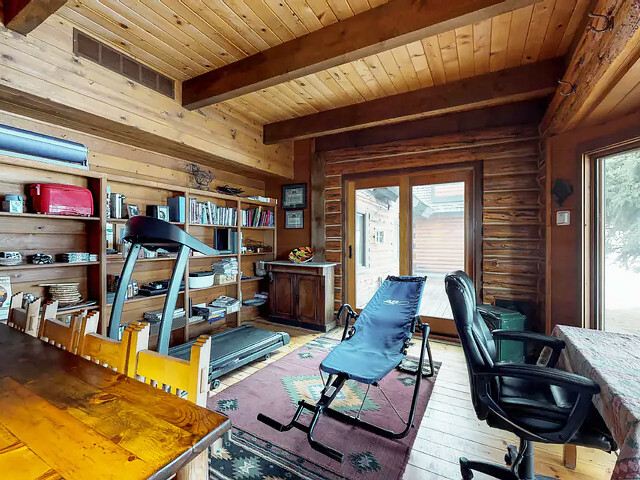 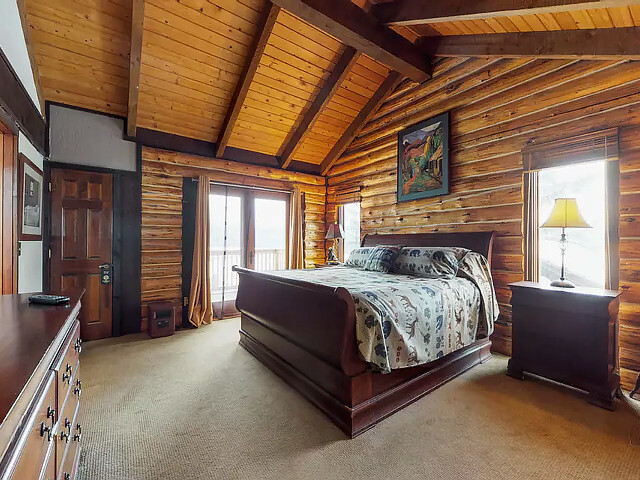 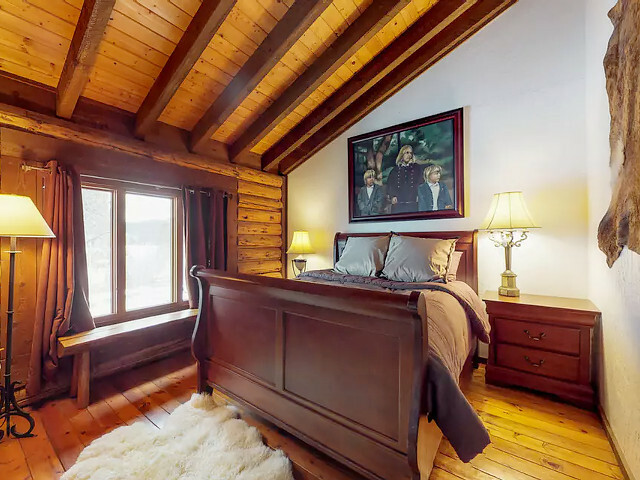 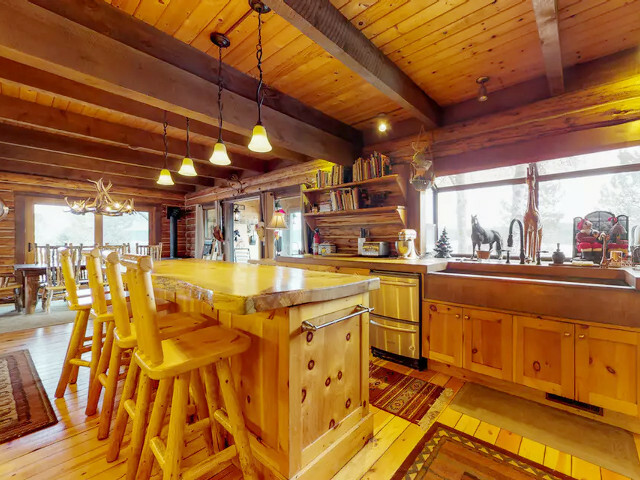 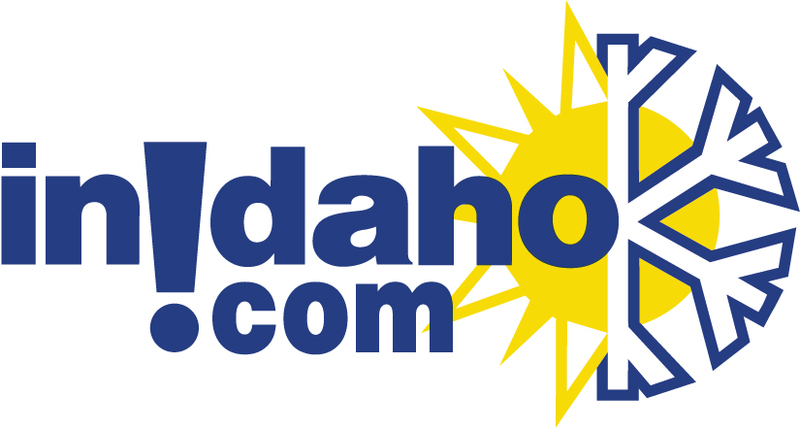 InIdaho has rented Donnelly cabins, condos and vacation rentals for about 21 years and offer the largest selection. 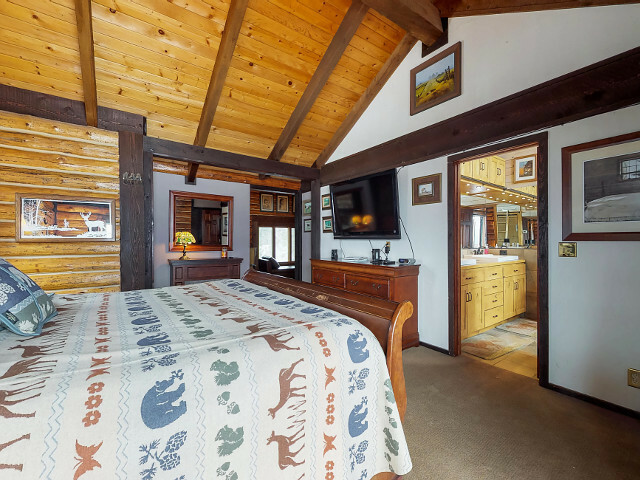 We guarantee the lowest prices for Panther Ranch Estate reservations. 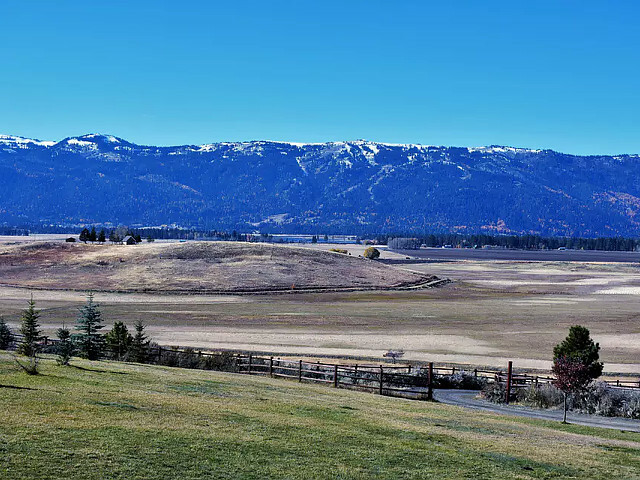 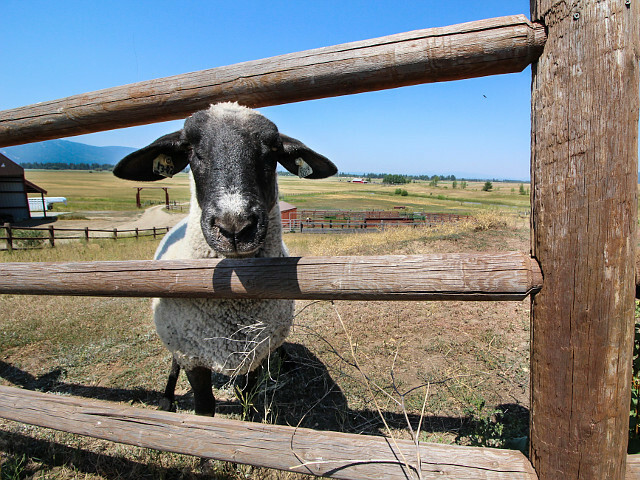 Our local idaho business is staffed by friendly and efficient employees who appreciate that you choose to make your reservations for Panther Ranch Estate with us. 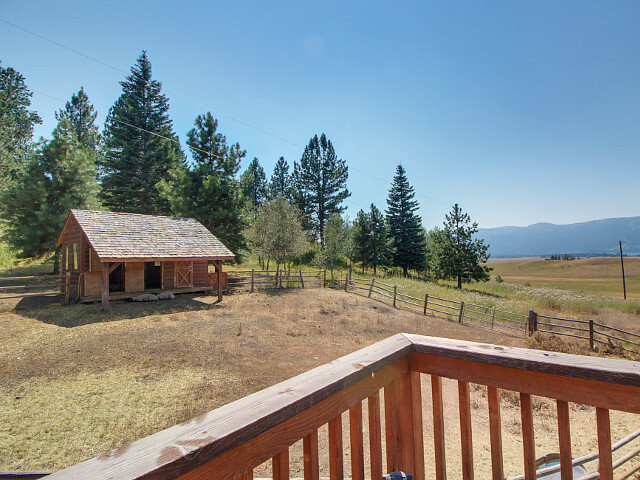 Rent Panther Ranch Estate in Donnelly today - just contact us!